Last week we had the pleasure of speaking to union members in Los Angeles to share our family’s story and how the opioid crisis is impacting families, businesses and communities. 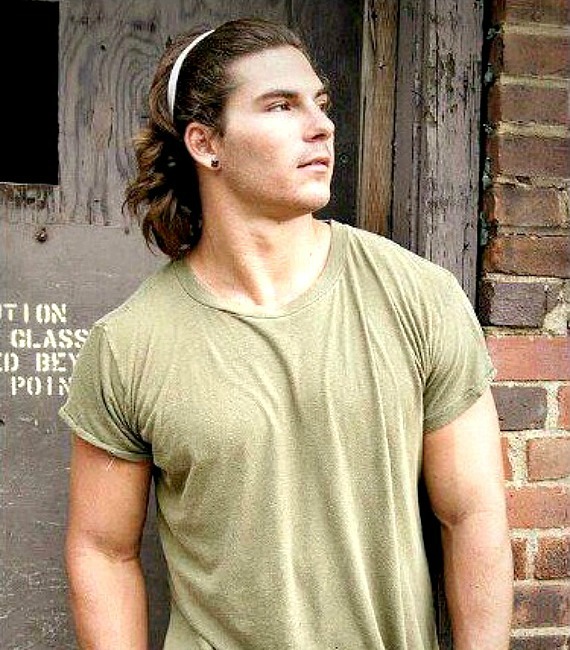 I shared the story of my son Tyler - an all-around athlete, an honor student, a good friend to anyone he met, and a young man who unfortunately became caught in the grip of addiction. Let me begin by saying that we as parents thought we were doing everything right. We had good jobs, we lived in a great community, we went to church every Sunday, we taught our kids right from wrong, and we had the usual drug talks with our kids. Never in our wildest dreams (or should I say nightmares) did we think our lives would be turned upside down by a chronic brain disease called addiction. Our son Tyler’s first introduction to opiate prescription pain medication was at the age of 11. Tyler had broken his right elbow three times while doing things he loved, like skate boarding, snowboarding and wrestling. Tyler’s state-of-the-art surgery went so well, that Akron Children’s Hospital featured him on the cover of their magazine because he was able to get full mobility back in his arm and continue playing the sport he loved: golf. Tyler reinjured his arm again at the age of 18, and again, had to undergo another surgery on his arm. More opiate prescription pain pills were prescribed. Little did we know as parents that prescription pain pills respond in your body just like heroin. In fact, the chemical makeup of opiate pain pills and heroin are very much similar. Had the doctor told us at the age of 11 or even the age of 18, that they were going to prescribe our son heroin, we would have raced out the door and never looked back. But we weren’t informed. We weren’t told that opiate prescription pain medication can be very addictive or that the teenage brain is more susceptible to addiction because it is still maturing and developing. We would later find out that countless families across the United States learned the same hard way as us. Fast forward 6 years into Tyler’s addiction that began with prescription pain pills, but later led to heroin: years spent in active addiction, withdrawal, treatment, recovery, and relapse. And repeat. Again, and again, and again. You see, Tyler could never get one year of recovery under his belt. He could get 6 months, he could get 8 months, but he could never get a year. One year - what we would later learn was an important marker in the recovery journey, because it takes the brain at least a year to begin to heal off of opioids. On our family’s insurance, Tyler received two, twenty-one day treatment stays. And that was all that was allowed. Our family became financially exhausted with sober living facilities and more treatment. No one ever told us how difficult the journey of recovery would be. We thought that because he went through treatment that he should be “okay” now. We were wrong. On the night of September 27th, 2014, our son Tyler, after running out of insurance and treatment options when he relapsed again, and after being put on a 3-week waiting list for help, sought out heroin with an acquaintance because he couldn’t stand the pain from withdrawal. After he bartered his phone for some heroin and used it while in the passenger seat of the car he was in, he began to overdose on what was later determined to be a mix of heroin and fentanyl. The person he was with, instead of calling 9-1-1, took our son Tyler to a vacant lot on the corner of Alfred and Arlington Roads in Akron, Ohio, and he left our son there to die. Summit County Sheriff’s department made a visit to our home on September 28th, and broke the news to my wife Shelly and my 17-year-old daughter, that a neighbor found a body in a vacant lot, and it was our 23-year-old son. After Tyler died, it was all we could do to get through each day; but it was our 17-year-old daughter, Taylor, that led our family when we were all so broken. 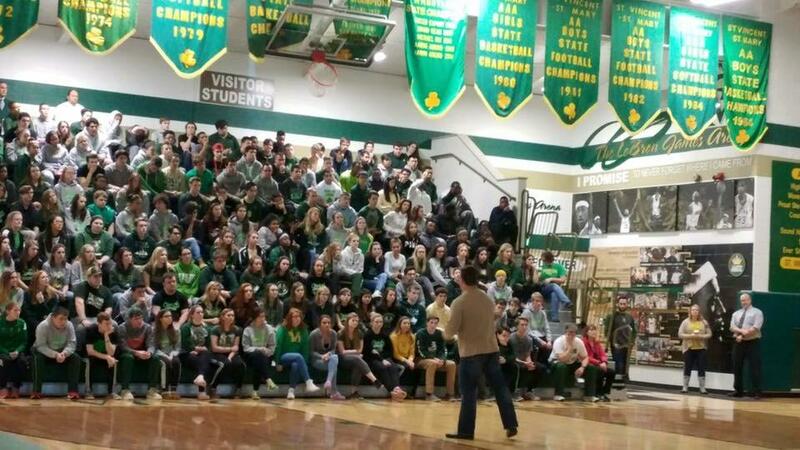 Only two months after her big brother passed away, Taylor took the stage at Lake High School in Stark County, Ohio with two other seniors who had lost their brothers in a year’s time, and spoke to over 800 members of our community to bring awareness to the heroin epidemic that was gripping our township. The 3 seniors spent the rest of their senior year speaking to schools and at community events to raise awareness. Taylor’s bravery was the example our family needed to begin to speak up, to attend rallies, and to start a Facebook page to educate our communities. In March of 2016, my wife Shelly and I decided to form a 501(c)3 nonprofit organization, originally called Breaking Barriers - Hope Is Alive to bring awareness to the opioid epidemic and educate families. In June of 2016, after writing a letter to the Teamsters General President Jim Hoffa, I was given the opportunity to speak at our National Convention. After 15 minutes of telling Tyler’s story and our vision to provide some sort of recovery treatment in Summit County, Teamsters from across the country came to the stage to pledge money to our organization. After an hour and half, the Teamsters had pledged $1.4 million dollars, of which we received $1.368 million. Many more amazing opportunities have come our way through this journey, with a local marketing company in Akron, Geometry Global, donating their services to help us re-brand to the name Hope United, providing new logos, a new website and many marketing pieces. And our community showed they are behind us with our vision when Summit County Executive Ilene Shapiro announced in October of 2017 that Summit County would be donating 10 acres of land of the former Edwin Shaw property in the southern part of Summit County, and ideally located near Portage and Stark Counties in what is often called the Tri-County area, to Hope United so that we could build Ohio’s first Relapse Prevention Wellness Center. After years of research and educating ourselves, we were able to determine that the critical missing piece to long-term recovery was aftercare or relapse prevention focused on the whole person: mind, body and spirit. Our concept for Tyler’s Redemption Place is unique, unlike anything that is currently offered in our area, our state, and maybe even our nation. We have developed a plan for what we believe could have helped save our son, and we believe in our hearts could help save many lives today and in the future. Tyler’s Redemption Place is poised to be a long-term recovery model for other communities across our country. A place that will offer not only support, but love and compassion; where individuals will know that their lives matter. 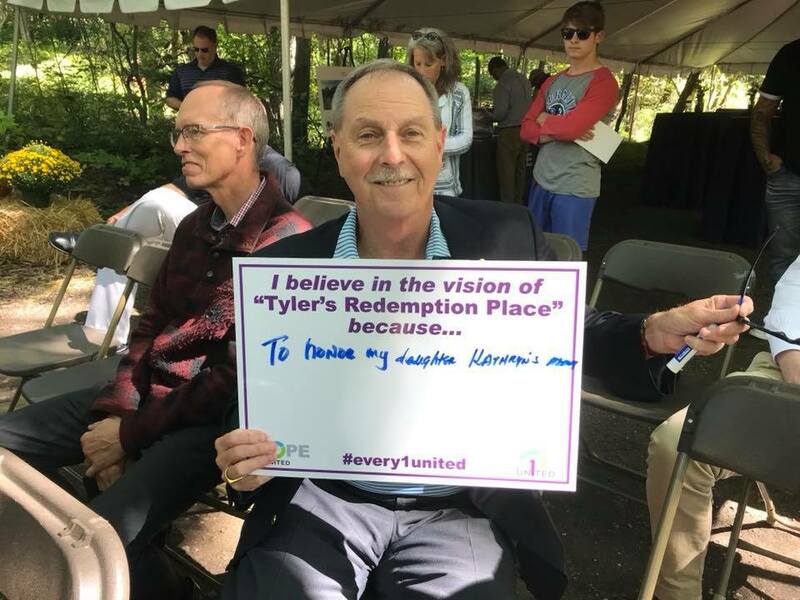 Tyler’s Redemption Place will offer an array of services that focus on the mind, body, and spirit. We will offer professional counseling, peer-to-peer support, evidence-based relapse prevention programming, support groups for individuals and their families, many fitness and wellness programs, life and coping skills, worship services along with character building classes, sober events and activities, and holistic alternatives to treating pain. Our approach aims to address the root cause of addition and other mental health issues, so individuals can overcome their addiction, sustain long-term recovery, and live the healthy, happy life they deserve. I’d like to close the blog with this. Our family has been through so much pain. 6 years of active addiction. Relapse, recovery, relapse, recovery. Traditional treatment that just wasn’t enough. The easiest thing for Shelly and I to do now is to walk away. Our girls are okay and have a bright future. Listen. Our son was dumped in a vacant lot and left to die. Story over. However, this is where Shelly and I are so uniquely yoked. Neither of us could have looked each other in the face, or in the mirror, if that was the end of our story. I believe with all my heart that God has a unique plan and purpose for each of us. He has identified our purpose through our pain. Our story will not end in a vacant lot. I cannot accept that - I refuse to accept that.